Happy birthday, artist Joey James Hernandez! To my favorite artist Joey James Hernandez, happiest birthday to you. I’m one of your biggest fan. More art for you. Here’s a picture of your marvelous original piece of … Continue reading Happy birthday, artist Joey James Hernandez! 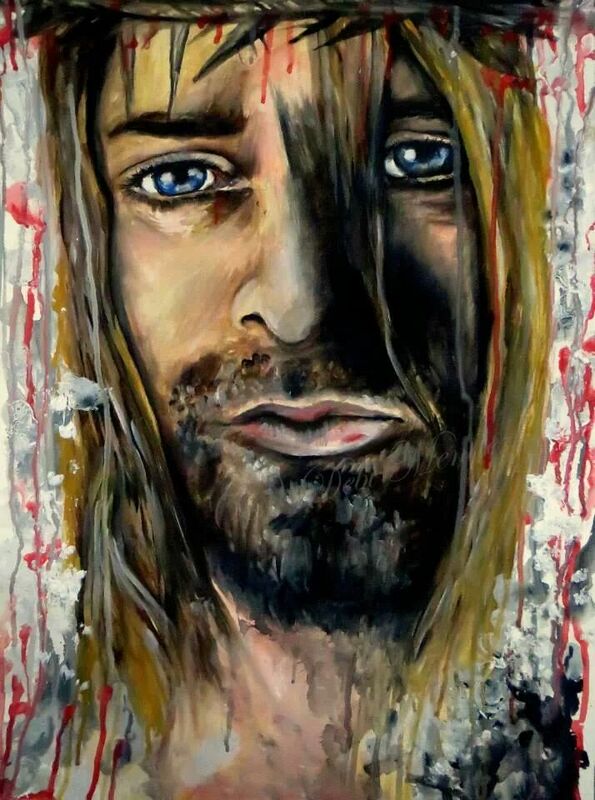 “JESUS COBAIN” Oil on paper (C) Debi Mendez —sold— A special friend bought my painting for her husband’s Anniversarry gift and is in a good home now.